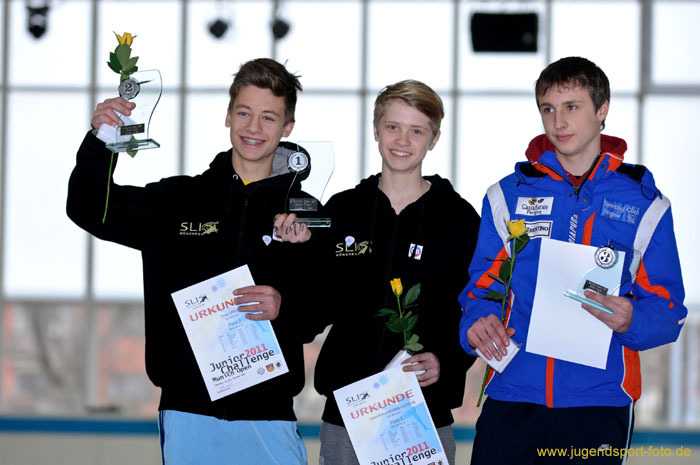 Felix Spiegl ( see earlier portrait on this site) and his friend and teammate Leon Kaufmann-Ludwig qualified for the Shorttrack Junior World Championships in Australia. As third skater from the same club SLIC Munich Markus Graf will take part, he as a substitute. This entry was posted on February 15, 2012 at 11:56 am and is filed under Uncategorized. You can follow any responses to this entry through the RSS 2.0 feed. You can leave a response, or trackback from your own site.